OnePlus 5T is already up for Pre-Order on Oppo Mart for $549. Fake? FYI – OppoMart has not been a reliable source for information about the OnePlus devices. 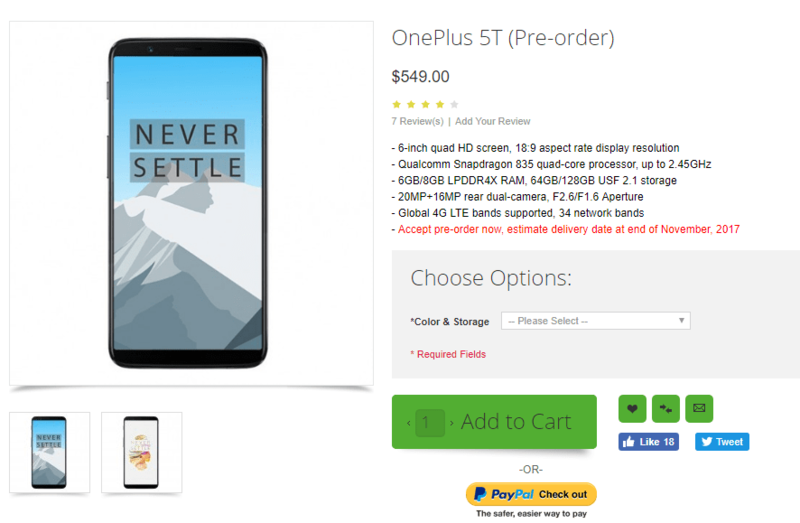 It is well known that the OnePlus 3 and OnePlus 5 were listed for Pre-Order too but the design and specifications turned out to be wrong. 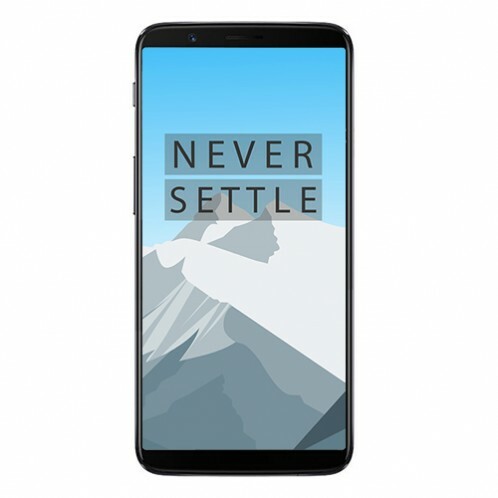 The OnePlus 5T specifications mentioned on the site, therefore should not be trusted. So, better take them in consideration with a pinch of salt. Yesterday, we got our first look at the design of OnePlus 5T via a teaser image that was sent via a reliable source to the folks at AndroidAuthority. It won’t be wrong to say that we are now going to see a lot of leaks related to the phone and so, just like the OnePlus 5, we will know everything before the official announcement. Today, the 5T was listed on Oppo Mart for Pre-Order, and this listing reveals the specifications as well as the design from the front. It is mentioned that the delivery will start by the end of November. The price mentioned on Oppo Mart is $549 for 6GB+64GB and $649 for 6GB+128GB variant. It is worth mentioning that the OnePlus 5 is priced at $479 and $539 for 6GB and 8GB variants respectively. There is no mention of the pricing for the 8GB RAM variant of the phone, but the specifications reveal that there will be a 8GB RAM variant. Now talking about other specifications of the OnePlus 5T, it has a 6-inch Full-HD+ Display with a resolution of 2160×1080 and aspect ratio of 18:9. Snapdragon 835 processor powers the phone with 6/8GB RAM and 64/128GB internal storage. On the rear, there is a dual camera setup with 20MP + 16MP combination having f/2.6 and f/1.7 aperture respectively. On the front, there is a 16MP camera. The battery size has slightly increased from 3,300mAh on the OnePlus 5 to 3,450mAh on the OnePlus 5T. Android Nougat runs out of the box with Oxygen OS, and it is the grey color variant that has been listed on Oppo Mart. So, if OnePlus keeps the price the same as mentioned on Oppo Mart, would you go for the OnePlus 5T? Do let us know via the comments section.